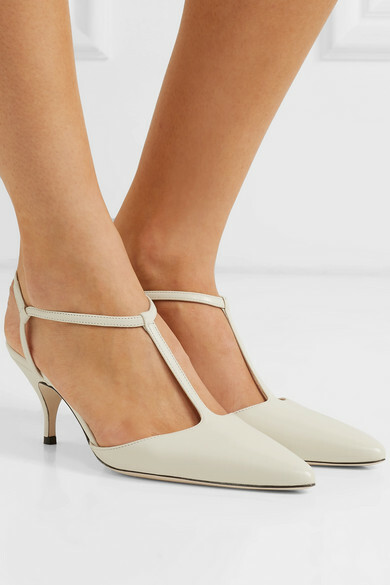 Magda Butrym's 'Macedonia' pumps have been made in Italy from buttery ivory leather, so they'll go perfectly with this season's neutral pieces. 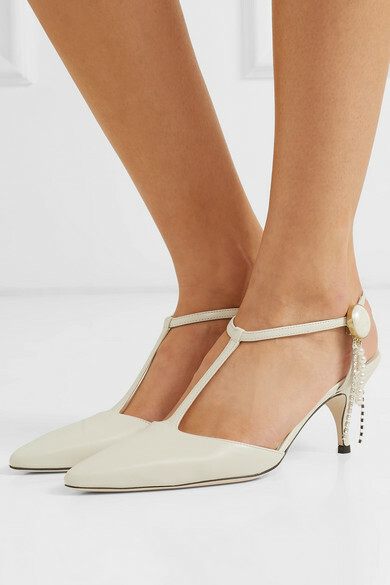 Inspired by vintage styles, they have slender T-bar straps and a pointed toe that will elongate your legs. 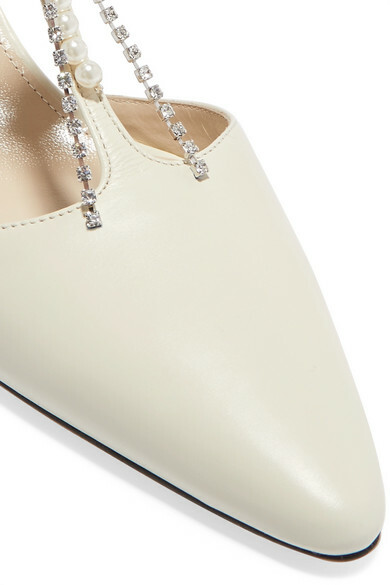 The manageable 65mm heel means you can easily wear them all day, making them the ideal choice for brides. Match your earrings to the crystal and faux pearl-embellished brooches. Shown here with: Magda Butrym Dress, Bienen-Davis Bucket bag.